The race is 22 km long (10 km uphill, 12 km downhill), the path changes from earth to gravel. 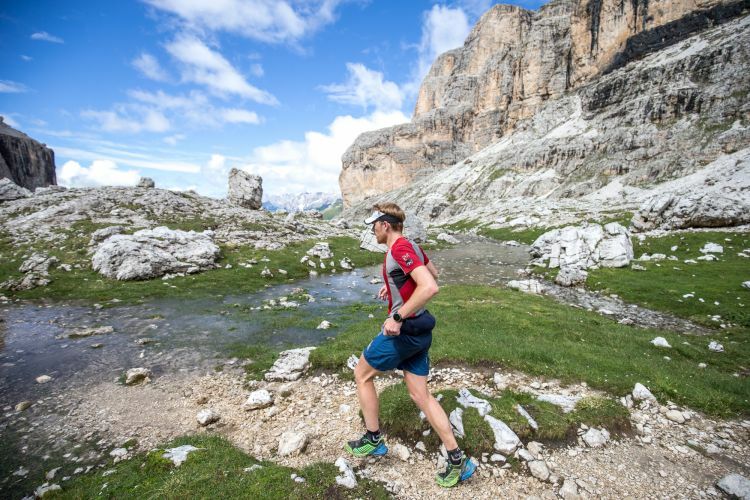 The race begins and ends in Piazza Marconi, Canazei (1.450 mt. 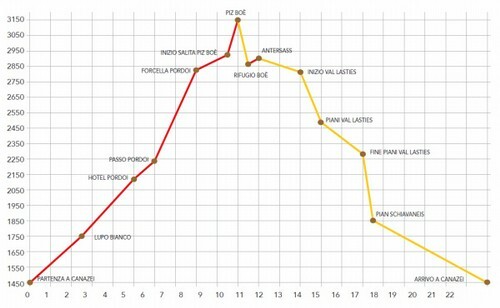 ), the maximum height of Piz Boè is 3.152 mt., the uphill altitude is 1.950 mt. The course is marked with flags. Refreshments are available at Passo Pordoi (2.239 mt. ), Forcella Pordoi Refuge (2.829 mt. ), Capanna Piz Fassa Refuge (3.152 mt. ), Boè Refuge (2.871 mt. ), Restaurant Pian Schiavaneis (1.850 mt). 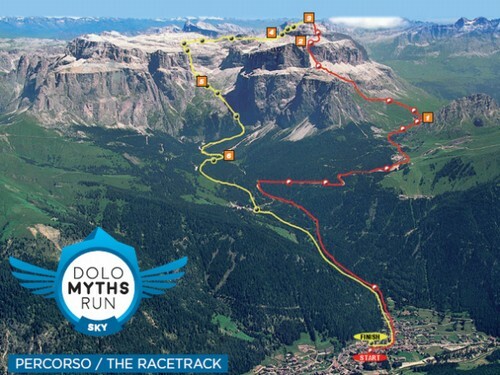 Runners must reach Forcella Pordoi in 2 hours.